A new year always comes with fresh ideas and goals to achieve. Moreover, it’s the time when new market trends come across, changing how industries work. What would be those trends for 2019? Our Co-CEO Ingus Rūķis has compiled some of the things that are expected to affect how telematics businesses are run around the world. White-label solutions are becoming a norm, so you should expect to see a lot of action in this business segment. Be it a fleet management platform, mobile applications, separate apps for specific use cases like car-sharing or digital tachograph data analysis solution – there’s definitely a white-label solution for that. Why is that so, you’ll ask? It’s no secret, that players in local markets don’t want to be resellers of a global solution, as this imposes some risks. On contrary, they’re willing to develop their own brand. That way they keep the option to combine multiple white-label solutions and build a strong brand while providing a solution that nobody else in the market has. Mapon has been working in this direction for several years now and we see that this segment is growing more rapidly than ever. Over the past few years, there have been several notable acquisitions in the industry, like Fleetmatics/Verizon or ABAX/Investcorp deals. 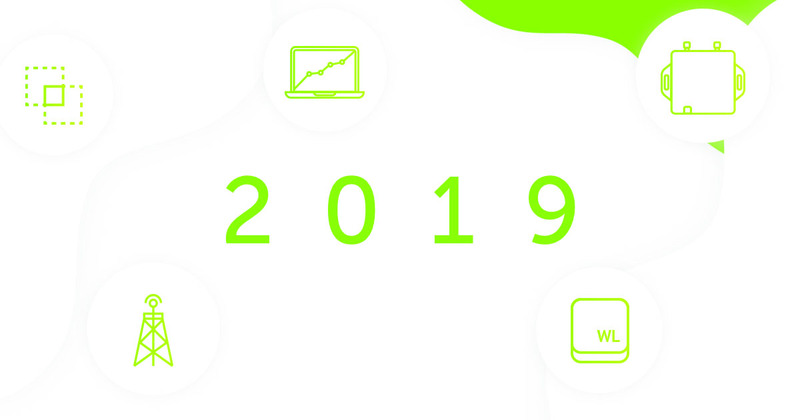 There are rumours about some other big things happening in 2019 and there’s also a lot of action going on with the smaller market players where Mapon is also taking part. While the bigger companies show double-digit growth numbers, the smaller ones are stuck in their current numbers and in some cases even have a shrinking market share. In such situations, quite a few companies decide to join forces or leave the market by selling out to bigger players. Historically GPS tracking and fleet management solutions have been dominated by aftermarket solutions. In the last few years OEM solutions have kept up with the pace and the vehicle and trailer manufacturers have been silently rolling out their solutions preinstalled in vehicles and trailers. We expect to see some interesting moves from OEM manufacturers during the next year, as they might have reached the critical mass of preinstalled tracking devices to be able to approach customers and aftermarket solution providers with “let’s just turn on this thing” type of offers. We see a huge potential in this, as in most cases the biggest investment for customers and aftermarket solution providers is actually the cost of equipping the vehicles or trailers with tracking devices and not the tracking devices themselves. Technology is evolving faster than ever, especially, when it comes to connectivity. There are markets where network operators are considering to sunset 2G technology, and we’ve also seen the same trend with 3G already in other markets. Looking into the future we see that the network operators are actively testing and launching next-generation mobile data networks such as NB-IoT and CAT-M1 and hardware manufacturers are keeping up with the pace. 2018 was the year of experimentation and preparation, and 2019 will be the year of growth. This technology change offers a lot of possibilities for emerging markets where power consumption is critical, for example, electric vehicles, scooters, and non-powered asset tracking. As we see it, the industry will see a lot of new use cases and tracking devices operating on very low power in the next generation mobile networks. It’s easy to implement a fleet management system within a small company. However, it’s much more complicated for companies with 10, 20 or even 30 years of experience, considering the necessary resources and investments. Having said that, we see that in 2019 a lot of enterprise companies will launch big digitalization projects that they’ve been working on for the last few years. As a result, a lot of business processes will improve along with the company workflow. Mapon is constantly following the changes in the market to be able to adapt to the new trends set by the always-evolving technology and business scene in the world and offer our clients the best possible solutions and service. If you’re interested in what can we offer for your company, contact us via info@mapon.com.